Something is happening these days in Israel. The feelings of disappointment now familiar to many on Israel’s left of centre and fear of the upcoming election have all but given way to a new sense of cautious optimism. 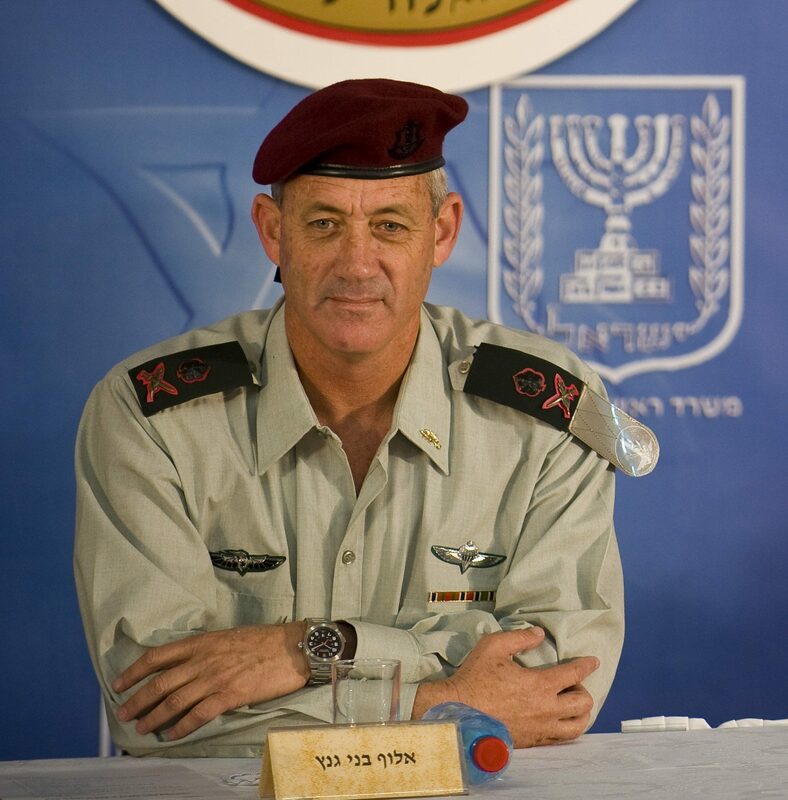 In charge of this dramatic change of mood is a towering 6ft4 former IDF chief-of-staff, Benny Gantz, who has recently announce his intention to throw his hat into the ring and challenge Mr. Netanyahu for the premiership. 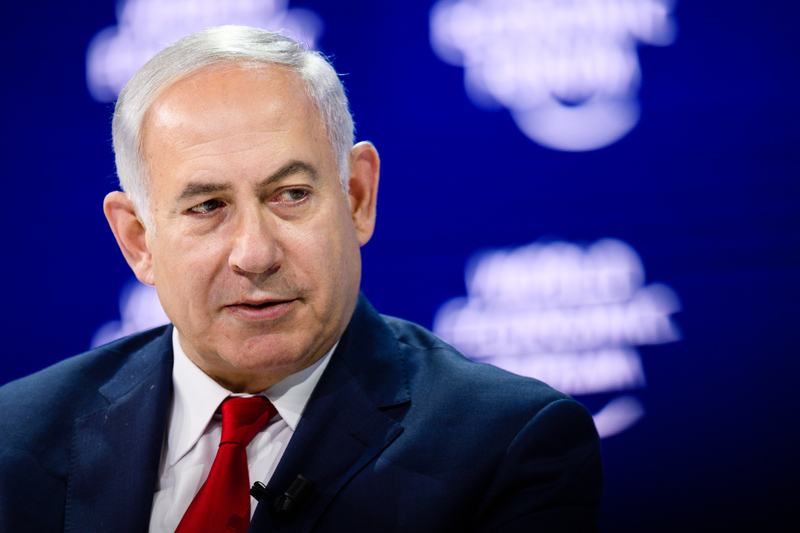 Though his chances of mounting a successful challenge are slim, he appears to be the most viable alternative Israel has managed to produce to Mr. Netanyahu in many years, and this is not lost on neither the Israeli electorate nor on Mr. Netanyahu himself. The excitement resulting from Mr. Gantz’s entry into politics must be framed within the context of the disastrous results faced by the last party that dared to seriously challenge Mr. Netanyahu for the premiership, the Zionist Union. The Zionist Union was an inorganic amalgamation of two of the main parties to the left of Mr. Netanyahu, Israel’s Labour Party and Tzipi Livni’s Kadima. While predicted to end up with 2-3 seats above Mr. Netanyahu’s Likud, the alliance ended up with 24 seats to the Likud’s 31 in the 2015 elections. Many reasons have been cited for this result, including Mr. Netanyahu’s last ditch efforts to mobilize his constituency a day before polling by appealing to the threat of Arabs “flocking” to the ballot boxes, or even the lack of charisma of the alliance chairman, Isaac (Buzhi) Herzog. While these arguments may be true, there is a deeper underlying cause of the Zionist Unions’s failure – its lack of ability to penetrate Netanyahu’s base. While the party successfully managed to combine the constituencies of two major parties on the centre-left, it nonetheless failed to appeal to a wider range of audiences. Despite Mr. Herzog’s insistence that the party was at the centre of the political spectrum, the composition of its membership, many already familiar to the Israeli public as life-long leftists, made it an easy target for Likud propaganda that sought to paint the Zionist Union as hard left. Weeks after the election, it was evident that the Zionist Union was no longer relevant. The awkward combination of the two parties was doomed to break down at some point. That point came just weeks after the beginning of the 2019 campaign season when the party chairman, Avi Gabby, dismissed his second-in-command, the political veteran Tzipi Livni on live television. This act not only caught the entire nation by surprise, but also Ms. Livni, who quickly scrambled to her advisors in order to carefully plan her next move. The breakup of the Zionist Union signals the death, though perhaps only temporarily, of one of Israel’s biggest political behemoths, the Labour Party. Current polls predict it to garner a result in the single digits, and few see Mr. Gabby as a viable alternative to Mr. Netanyahu. Mr. Gantz’s party, Hosen Le’Israel, on the other hand, occupies a space that the Zionist Union could never have hoped to fill. Composed of an assortment of former military figures, political rookies and some known right-wing faces, it is a hard sell as a leftist party. As such, opinion polls indicate that Mr. Gantz is successfully penetrating constituencies that the Zionist Union had failed to appeal to, primarily, members of the “soft-right”. In his first election rally which took place on October 29th, Mr. Gantz appeared to corroborate his intention to permeate Mr. Netanyahu’s electoral stronghold. Earlier that day, Mr. Gantz announced that he would run jointly with Moshe (Bogi) Ya’alon’s party, Telem, a move which saw his party admit three former high-ranking ministers and aides of Mr. Netanyahu’s party. Additionally, his speech had been laden with right-wing rhetoric, including personal attacks against members of the Iranian regime and Hassan Nasrallah, Hezbollah’s secretary general. However, an important question remains: what is Hosen LeI’srael’s ideological platform? For his part, Mr. Gantz has remained conspicuously quiet regarding any specific political objectives. For the first two weeks following his announcement stating his intention to run, he made very little public appearances apart from a series of campaign videos wherein Gantz appears to be boasting about the number of terrorists he had killed in Gaza. On January 29th 2019, in his first public appearance since the announcement, flanked on all sides by a crowd of supporters, Mr. Gantz took to formalizing his political ideas. Wishing to define himself as an aggressive centrist, he declared that he would not do anything to compromise Israel’s security, yet would not give up an opportunity for a diplomatic breakthrough. Nevertheless, Mr. Gantz stopped well short of defining this diplomatic breakthrough, and any reference to a specific vision for future negotiations with the Palestinians was noticeably absent. Yet this nonetheless marked an important departure from the mainstream rhetoric adopted by centrist parties. Rather than appealing to economic or social issues, Mr. Gantz chose to emphasize his military credentials and directly challenge the centrepiece of Mr. Netanyahu’s platform, that only the Likud can offer security to the people of Israel. When it came to his opinions regarding the Prime Minister, Mr. Gantz did not mince nor hesitate to personally attack Mr. Netanyahu. He declared that a prime minister could not continue governing if indicted in a criminal investigation, and referred to Netanyahu and his family as “French Royalty”, alluding to their lavish lifestyle. Polling conducted after the rally showed a massive upsurge in Mr. Gantz’s popularity and indicate the possibility of a result anywhere between 21-24 seats in the 2019 Knesset elections. While still falling much short of Mr. Netanyahu’s expected 30 seats, Mr. Gantz has clearly unsettled many in the governing party. In fact, for months, Likud advisors have been mulling over the best strategies to “neutralize” Mr. Gantz. Unsurprisingly, then, before he even had the opportunity to open his mouth, Mr. Netanyahu unleashed his hounds upon him. For months, culture minister Miri Regev, MK Nava Boker and other high ranking Likud members have appeared on air ceaselessly attempting to brand Mr. Gantz as a leftist. At one point, Ms. Regev even suggested that Mr. Gantz’s poor performance as chief-of-staff during Operation Protective Edge was linked to the death of a four year old boy who lost his life in a missile strike in the early days of the operation. Mr. Netanyahu is right to worry about Gantz. Despite polling far short of a plurality, Mr. Gantz’s party could nevertheless prove a formidable obstacle to building a right-wing coalition. However, despite surrounding himself with right-wingers and his militaristic attitude, Mr. Gantz could prove a blessing in disguise for those who wish to see a renewed dialogue with the Palestinians. It is no coincidence that the majority of diplomatic breakthroughs with the Palestinians have come from hawkish Israeli political figures. Yitzhak Rabin, the architect of the 1993 Oslo Accords, was himself a former IDF chief-of-staff. Ehud Barak, who ventured to Camp David desperate for an all-out deal with the Palestinians, was himself also a high ranking general. Most recently, Ariel Sharon, who engineered the 2005 disengagement from Gaza, had not only been a general, but also a quite hawkish one. The successes of these figures in pushing for negotiations rests on a unique feature of Israeli public perceptions of the political spectrum. Many Israelis perceive the left as approaching the Palestinian question primarily from a rights-based perspective , pushing for a two-state solution because they place value primarily on the Palestinians’ right to national self-determination. The right, on the other hand, opposes the two-state solution due to security concerns. Under this view, the right “knows” that any such agreement would jeopardize the lives of Israelis and are therefore not willing to pay even the most minimal price in blood for an agreement. This sentiment has been epitomized by former Israeli Defense Minister Avigdor Lieberman’s warning, “if you give us rain, we will give you floods”. As such, former military men enjoy a unique legitimacy to engage in diplomatic overtures towards the Palestinians. A former IDF chief-of-staff can hardly be accused of dismissing security concerns for a pacifistic ideal. 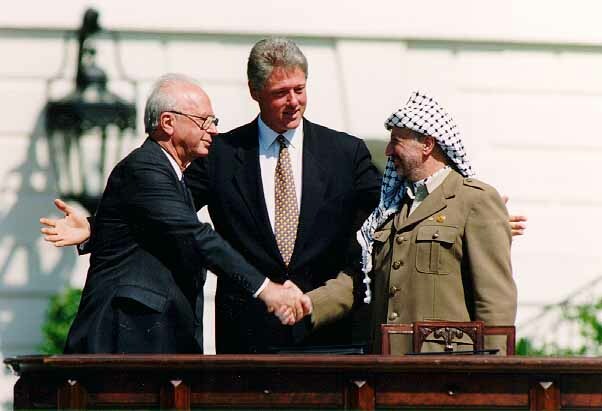 In large part, this serves to explain the relative legitimacy Mr. Rabin enjoyed when negotiating at the Oslo Accords compared to more recent attempts made by Tzipi Livni, who does not boast an impressive military record to negotiate a much more modest agreement with Palestinian Authority president Mahmoud Abbas. As of right now Mr. Gantz has made no reference to the Palestinian question, and it is clear that comparisons between him and Mr. Rabin, who was elected on a “mandate for peace”, are inadequate. Yet public opinion polls indicate that the majority of Israelis continue to support a diplomatic agreement with the Palestinians. Perhaps Mr. Gantz will not be the person to deliver such an agreement, yet whoever eventually does will likely bear a strong resemblance to him. Nevertheless, it is unlikely that Mr. Gantz will achieve any of these political objectives. Despite perhaps having the mandate to do so, it is still early to tell if Mr. Gantz would be interested in overseeing such a politically contentious move. Regardless, Hosen Le’Israel is polling far behind the Likud, and Mr. Netanyahu and his natural coalition partners are predicted to hold on to a majority in the Knesset. Even so, Mr. Gantz deserves admiration for engineering an almost unimaginable feat, having successfully swayed voters who had previously been staunchly entrenched in Mr. Netnayahu’s camp. This is an achievement which not only demonstrates Mr. Gantz’s viability as an alternative to the incumbent Prime Minister, but also his successful penetration into the Israeli mainstream. 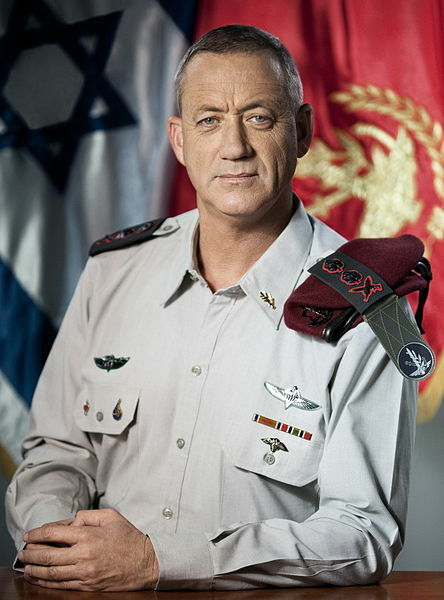 Should Mr. Gantz play his cards right and establish himself as a serious politician, he may be the man to unseat Mr. Netnayahu, if not this April then perhaps in the following election scheduled for 2023. In the meanwhile, even if Mr. Gantz does indeed fall short of a plurality, he could nonetheless produce a powerful bulwark against Mr. Netanyahu’s coalition within the Knesset. Either way, for many on the Israeli left, any seat taken away from Mr. Netanyahu is reason to celebrate.